Roberto Collina has been telling his story of Made in Italy excellence for over 60 years, thinking, creating and making all his knitwear-based collections in Italy. Today, more than ever, he celebrates the quality, design, product process and panache of his jumpers that have written and still write a significant part of Italian pret à porter history, creating a new frontier in Made in Italy style. 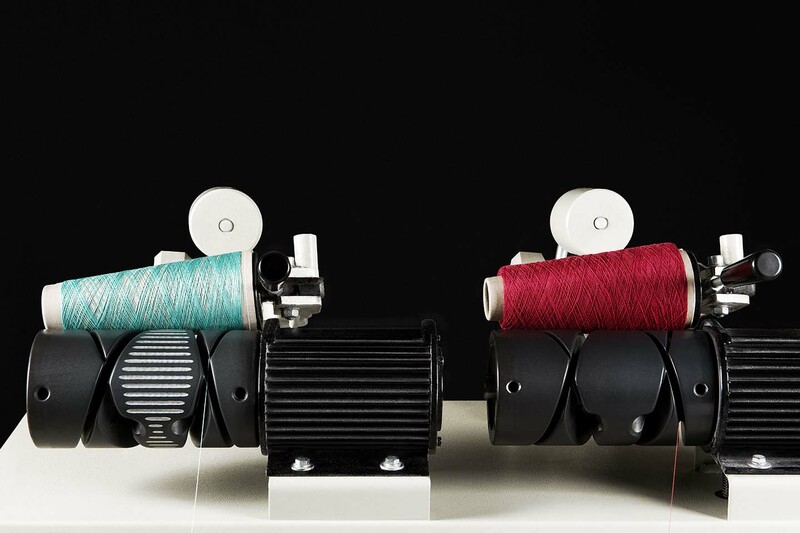 “In a period of Italian companies increasingly moving overseas, we celebrate our Made in Italy history with pride: our production is completely located in Italy, it is a guarantee of quality and design” states Roberto Collina, the second generation of the company that takes its name from and was founded by his parents in Crevalcore in 1953. The town lies to the north of Bologna, where the company’s production and distribution premises are still located, a futuristic yet simultaneous comfortable place, that can house and perpetuate a continually-evolving working and industrial heritage. 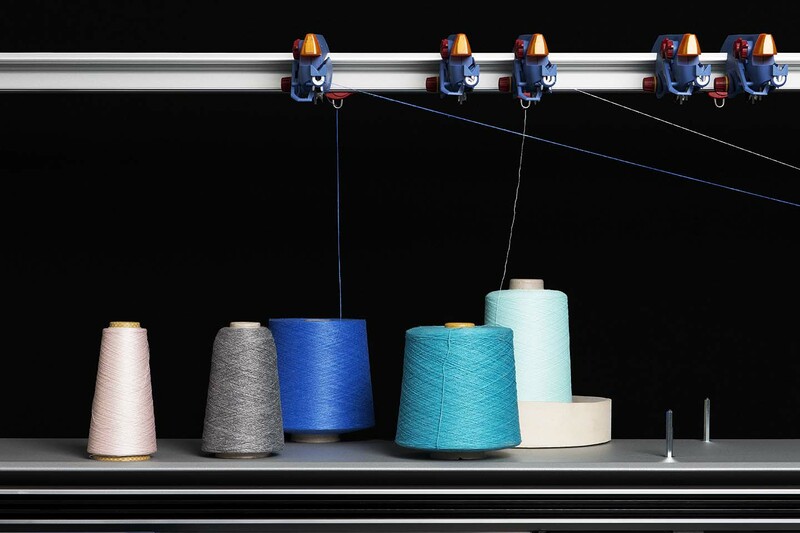 A world-renowned family brand that started out in a small knitwear workshop with connected school, managed by the Collina family, where innovative machines were used to create the first jumpers for the German and North European markets soon after the Second World War. The small workshop soon became the harmonious centre of an area that was changing its production vocation to become the heart of Italian knitwear system. Amidst technological innovations and creative twists that led the company to work on commissions for important Italian fashion houses, in the early 1980s, the young Roberto Collina, the founders’ son, decided to lend his name to a capsule collection of 10 men’s jumpers that were presented at Pitti Uomo. This hailed the company’s official debut in the international fashion world. From this moment on, the success of this brand that encapsulates contemporary artistic ideas with authentic heritage was consolidated, turning it into a pret à porter brand that focused on quality, beauty and continuous research. In 1990, Roberto Collina launched his first women’s collection and the brand – which up to that moment had been a synonym of male fashion – also transmitted the poetic style and exceptional quality of Italian production in its feminine essence too. The Made in Italy concept is found in a high-bracket product, characterised by the use of quality materials and noble fibres – mohair, cashmere, 'alpaca, 'angora, camel hair, super-light merino wool, silk and ice cotton-, respecting his own craftsman origins and each season interpreting the sector’s trends. Now present in France, Belgium, Holland and Germany, Roberto Collina has confirmed his success overseas over the years with a growing interest in Asian countries such as Japan and South Korea: a success guaranteed by the application of the most advanced technologies in artisan production, which consolidates the brand’s international profile. Today, Roberto Collina is a young company that employees more than 50 people at its Crevalcore site, half of whom are 35 years of age and under and are women, and who continue this Made in Italy story successfully, investing in new generations in order to continue a professional heritage that is slowly disappearing. 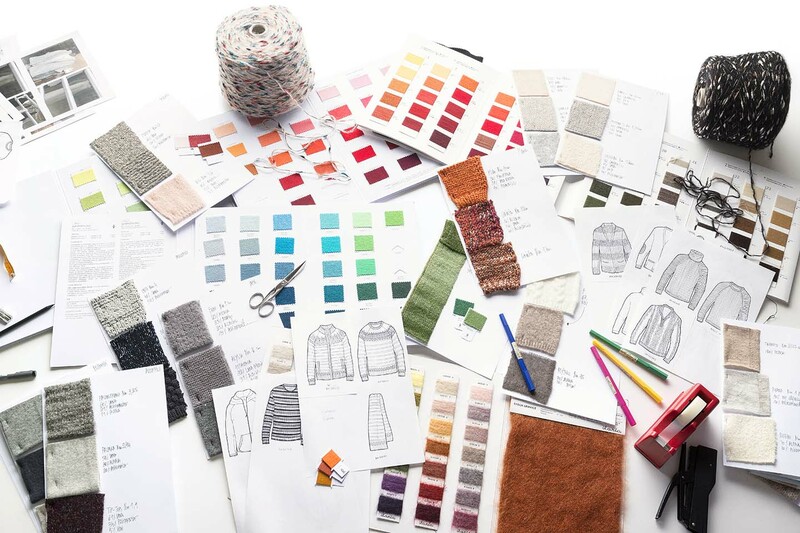 The very complexity of the knitwear system and the difficulty in finding professional figures have driven the company to create real training programmes aimed at creating staff specialised in studying and checking the firm’s creations step by step, from weaving to finishing, running through production and quality control, and following each step of the production process directly, right up to shipment. The company is a real knitwear microcosm that also involves specific training programmes that have culminated in recent years in the Knitwear Master’s course “Creative Knitwear Design”, the only one in the entire world to be recognised and carried out together with the Accademia di Costume e Moda in Rome, and with the first scholarship for the next academic year. 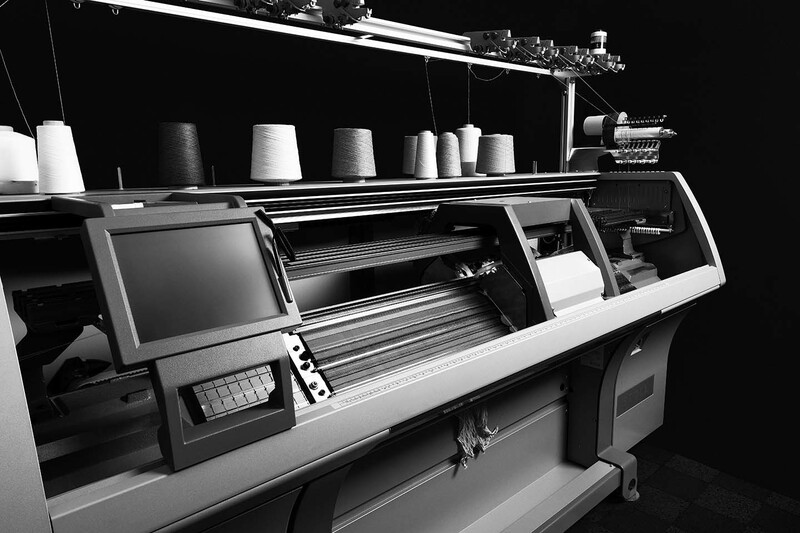 This is a patronage that aims to overcome difficulties linked to the lack of professional training in the knitwear sector, which is technologically complex, full of stimuli and work opportunities, and which makes Roberto Collina more than “just” a pret a porter company, but also a real incubator of talent. With its true balance between tradition and modernity, Roberto Collina summarises its character in its collections, with experiments where the synergy leads to an idea of pure style in the lines, but which is sophisticated and complex in its actual realisation. The beauty that guides the brand’s signature is a sophisticated, sensitive one that translates into an elegant stance, raising simplicity to a state of purity, and reducing luxury to essentiality. The heart of this company’s style can be seen in the heritage of its manufacture and the historical expertise of design, onto which is grafted, in the full meaning of the word, an innovative sense of aesthetics that places the emphasis on the quality of production. 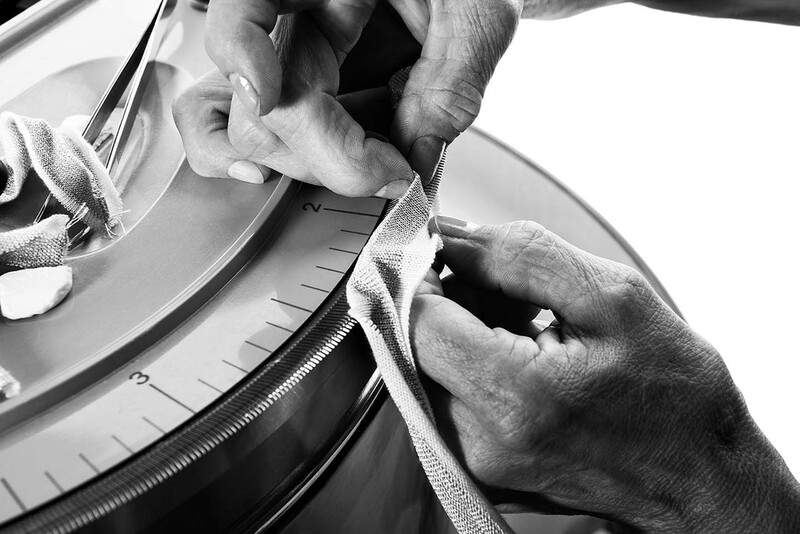 There is a long period of research and realisation behind each garment, which the company follows through each step of production – from choosing the materials to developing the collections – supervising the work of satellite laboratories present in the area and the entire production process, to create excellence. Alongside this is constant research guided by the emotional side of the product and the history that be felt in each item as knitwear is versatile and continuously evolving: it starts with a yarn and can express creativity by following the infinite possibilities of potential, which contain the past and drive towards the future. 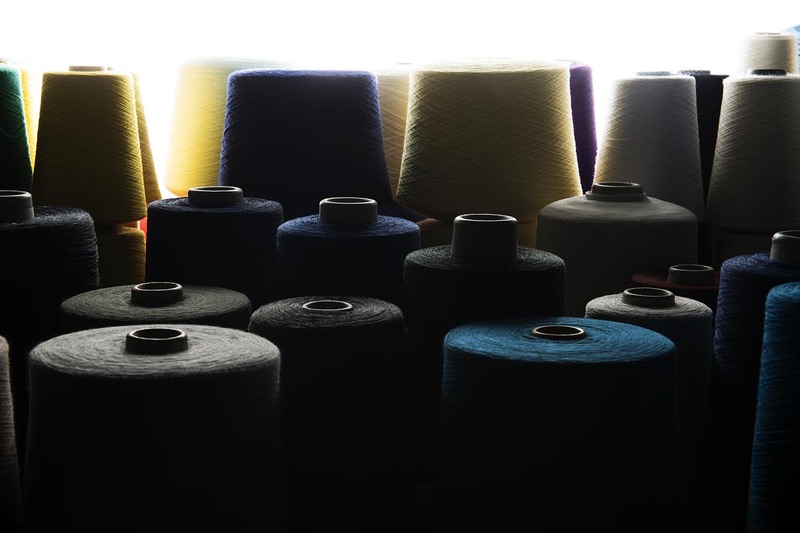 Roberto Collina is not just a synonym of knitwear; it has also extended and perfected its range over the years, to meet the needs of an increasingly selective market. 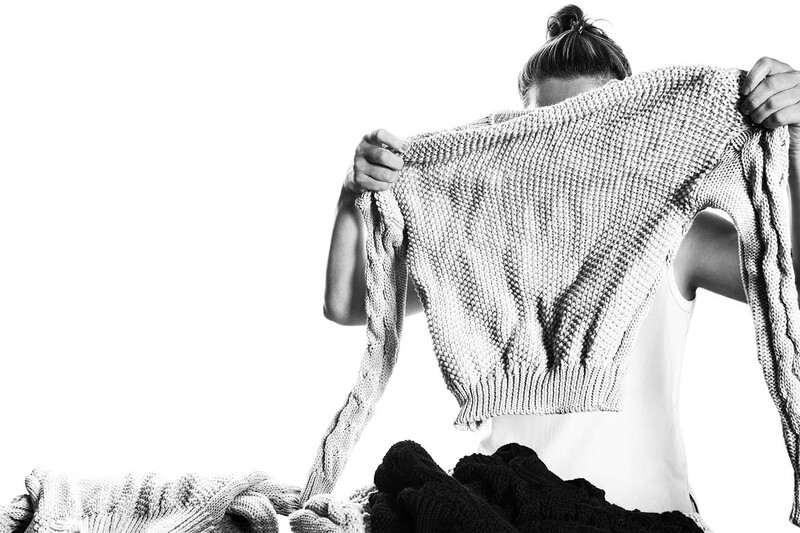 The company’s core business is and will continue to be knitwear (#wearknitwear), intended as a universe of new jumpers that are both original and high value, using the best raw materials and the most advanced production techniques to create a high quality product that is also of an innovative design. It is thanks to the design that Roberto Collina knitwear can boast its most interesting expression, through the research and experiments on volume, structures and forms that enhance the brand and make each model a multi-purpose, cutting-edge product. Contamination and inspiration combine to create the inspiration for each collection in both menswear and ladieswear, playing with colour, technique, treatments and combinations, thus producing a totally new result each time,. Roberto Collina is now a true lifestyle for men and women, with its full range that also includes accessories and where the knitwear includes precious textures that differ depending on the season and trends. Roberto Collina has always been an ethical company in the true sense of the word, making respect – for employees, the product, customers and the environment – the virtuous centre of its mission. The company’s ethics born in Italian artisan production, that has always been the symbol of its production process, not just by purchasing and working with Italian materials but also by scouting for new generations to create harmonious continuity and a passing down of ideals. A company that respects the past – and not just its own – to the point that it has created and organised a historical archive of unique garments so that it can preserve and pass on an eternal heritage – and that is also looking to the future, thanks to the full digitalisation of each aspect. A company that wants to return the district it is part of to the splendid days of the past, not just creating a virtuous spin-off of industries but also by being a main player in passing on professional and manual skills that can safeguard the Italian heritage. The company also has an eco-sustainable culture that can be witnessed in tangible actions that concern garment creation and production processes so that they have the lowest possible impact on the environment. There is also a company green policy that was born from the recycling and waste management culture and goes as far as controlling emissions so that the company can be truly classified as zero impact. The strength of a brand can be measured by its figures: Roberto Collina expects to end 2017 with a +15% growth in turnover on the previous year. The goal for the near future is to carry on consolidating its core business in the international market, following its overseas vocation that has allowed the company to achieve 60% of its business turnover outside Italy’s borders. With its production of more than 150,000 annual pieces and with a portfolio of more than 1000 clients around the world, its main markets are Germany, France, USA and most of all Japan. The Roberto Collina collections are distributed in selected world-famous, multi-brand stores: the Italian stores Antonia and Excelsior in Milan, Barrow, Folli Follie and Ratti, Andreas Murkudis in Berlin, Le Bon Marché and Merci in Paris, Beams and United Arrows in Tokyo and Renaissance in Antwerp. Heavy investments in communication and in diversified projects that aim to look after human capital and build a solid product identity are the characteristics of Roberto Collina’s future.